Life’s full of choices. 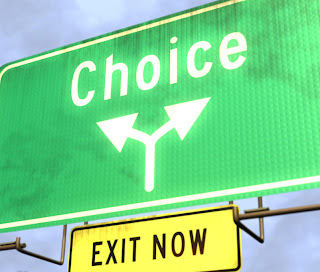 Do we always choose the best of the available choices? One choice can lead to another, either taking us down the wrong path or leading us on the path to success. Some may be right, some may be wrong, but what matters most is our awareness that we have the option to change it any time. From the moment we were born, a choice had been chosen for us, but eventually, we will grow out of it and choose our own path in life. We are confronted with choices everyday. 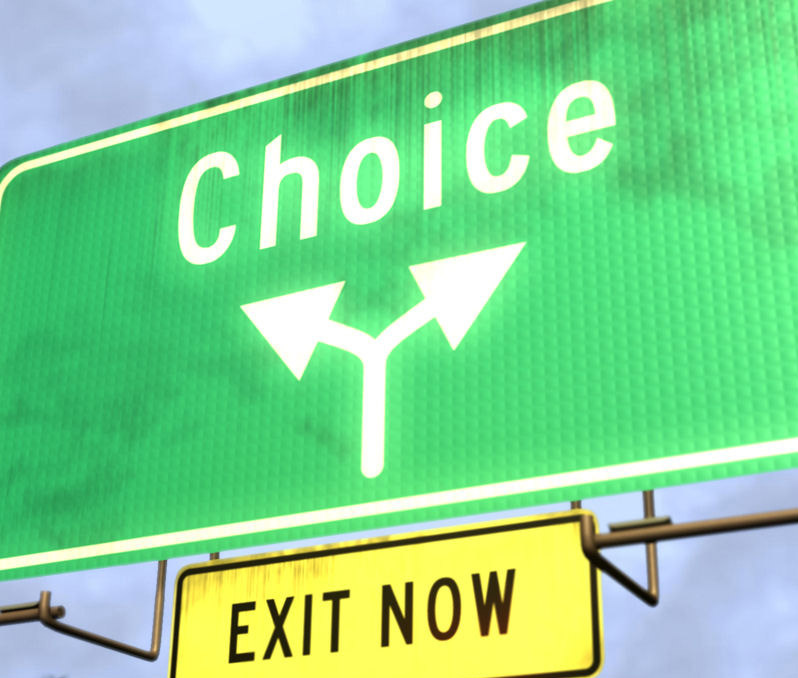 How do we know which choice to choose? Sometimes, we refuse to make a choice out of fear. Sometimes we’re lazy and allow others to make the choice for us. Then sometimes, we just simply make the wrong choices. We know it is not right for us, yet we choose to do it all the same. Whatever it is, we’ve already made a choice! Nobody said it’s easy. But nobody said it’s hard either. There’s no excuses. It’s our responsibility if we don’t want to let our freedom slip away. We just simply need to be courageous, to stand up for what we know is real and right for us. Or else we’ll just fade into the background and someone else will take responsibility to make those choices for us, either with our consent or against our will. So let’s start taking an active role in choosing the best of life’s choices available to us today. No one can tell us which is the right or the wrong choice. It’s our prerogative. What should be the priorities in our lives, what would be the consequences and what would be the major differences affecting our lives. Only we will know. Whatever the choice we’ve made, learn to accept the outcome. If it turned out well, rejoice with appreciation and gratitude. If otherwise, come to terms with it and make a choice to turn it around. Every day, we have the choice to either enjoy life or hate it! It is all in our attitude towards the outcome of our life’s choices. No one can control our attitude. So if we can take charge of our own attitude, everything else in life becomes much easier. According to the Law of Attraction, when we make a clear choice, it forces us to take a firm action. When we are able to see the effect it is having on our life, we can begin to alter our present conditions so that it flow where and when we want it to. The more energy we direct towards what we want, the stronger we are magnetized to attract our desired results. That’s the power of positive thinking! The Law of Attractions works! Simply choose to learn its truth and examine how it is already working in our life. Do not underestimate the power of positive thinking as it can lead us to make the choices take will take us onto the path of freedom, happiness and success.